Based in the heart of Dorset, Lloyd & Co. Blacksmiths create a wide range of decorative and functional hand forged ironwork items. 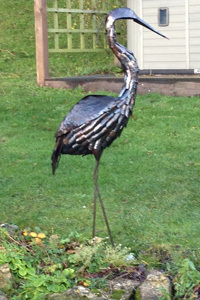 To view examples of our work please follow the link below. We are always in the process of updating our website to add new products, so please make sure you check back again soon to see more of what we produce. We also take comissions for any items ranging from large to small. Whether you have the beginnings of an idea or a fully designed piece, we will be able to work with you to bring it to life. 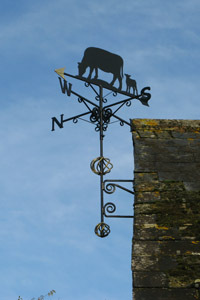 Hand crafted weathervanes made to your design. 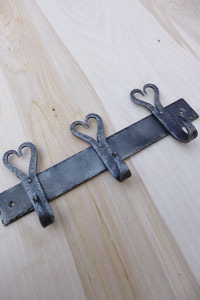 A selection of forged products for your home. 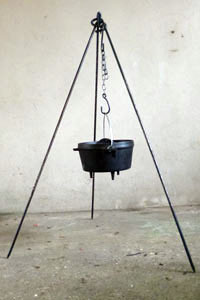 View our renowned range of campfire cooking equipment. Your ideas and designs brought to life.